Electric cars are no good for long distances, right? They'll run out of juice and leave you stranded during your road trip, right? 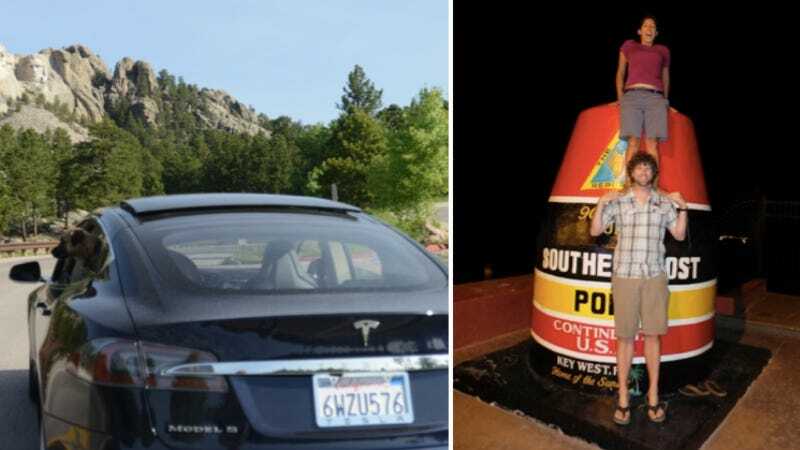 Just ask Roberts Jones and his fiancee Bridget, who made it around the entire country in their Tesla Model S. It can be done!